Can I Use Almonds Instead of Pine Nuts for Basil Pesto? A small amount of pesto goes a long way. 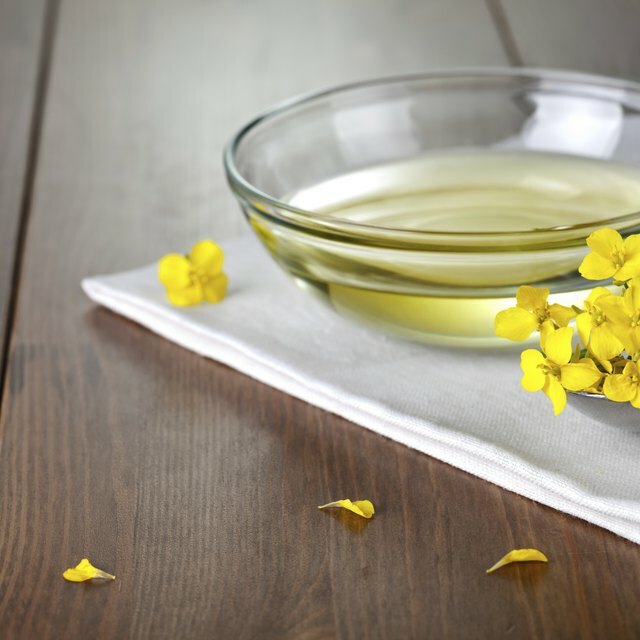 1 What is Rapeseed Oil? A traditionally pungent paste made with garlic, basil, Parmesan, pine nuts and olive oil, pesto has morphed into meaning almost any blend of green herbs with nuts. If you are allergic to pine nuts, or just don't have any lying around, substitute in almonds. The result may be a rougher textured sauce with a different flavor, but you can still toss it with pasta, stir it into soups or use it as an accent on certain proteins. Pesto originated in the Italian city of Genoa. The sauce's name comes from the traditional method of production -- mashing the nuts, cheese, herbs and garlic with a mortar and pestle. A wooden mortar and marble pestle were favored because they did not produce heat, which would cook the delicate sauce. Because the name does not reference the ingredients, but the method, almost any pounded herb sauce could be considered a "pesto" -- even one that contains almonds. Home cooks and chefs have deviated from the traditional pesto recipe for decades. A notable version found in Sicily and deemed Sicilian pesto rosso is made with almonds and sun-dried tomatoes. Pine nuts are one of the most common items subbed out in pesto variations. You can use walnuts, pumpkin seeds or breadcrumbs in lieu pine nuts. You can make pesto with any variety of herbs. Parsley, cilantro and garlic scapes are just some of the types used to create flavorful blends. 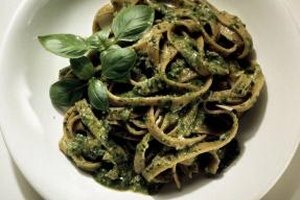 A nutless version of pesto is another option if you are loathe to interfere with the basic recipe by adding almonds. The French place a dollop of this variation, called pistou, on top of a vegetable soup made with white beans, green beans, tomatoes, summer squash and spaghetti noodles. You can use any pesto, including one made with almonds, for dozens of applications. Split open French bread and spread on a thin layer of pesto for a twist on garlic bread. Add to a meatball or meatloaf mixture before cooking. Spread on pre-baked pizza crust, top with sliced plum tomatoes and mozzarella and broil until the cheese melts. Mix a small dollop into butter for a flavoring to put over steamed veggies, boiled corn on the cob or baked potatoes. Toss into a cold potato or pasta salad. Use your imagination to capitalize on the fresh taste of this versatile sauce.